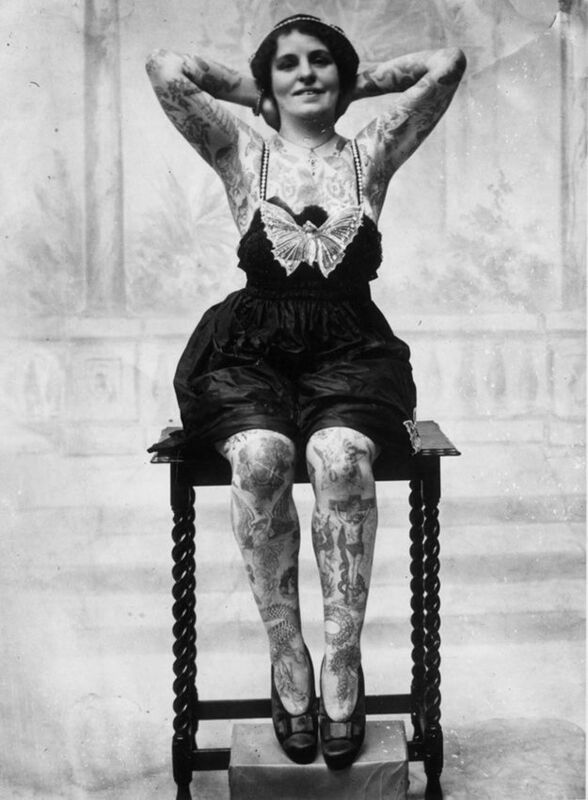 Yes, you can look elegant covered in ink. Betty Broadbent, 1930s. 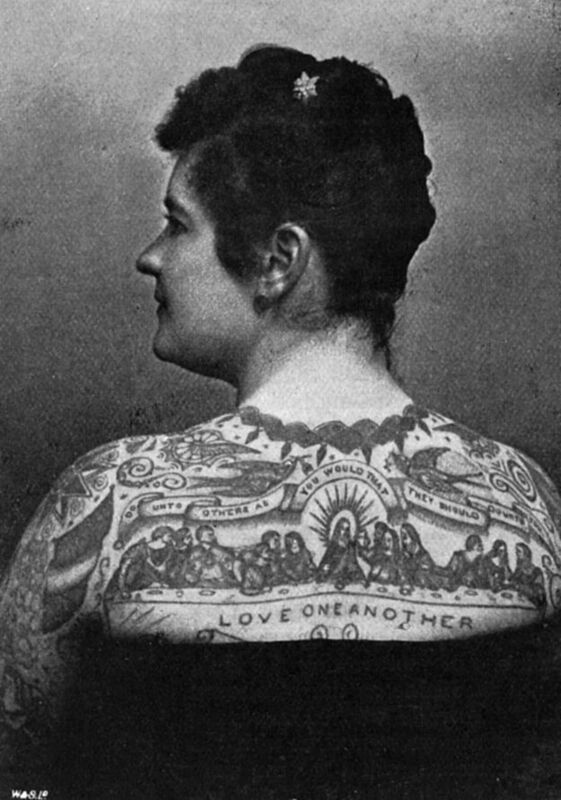 Emma de Burgh, another famous tattooed lady, and her bangin' Last Supper tattoo, 1897. 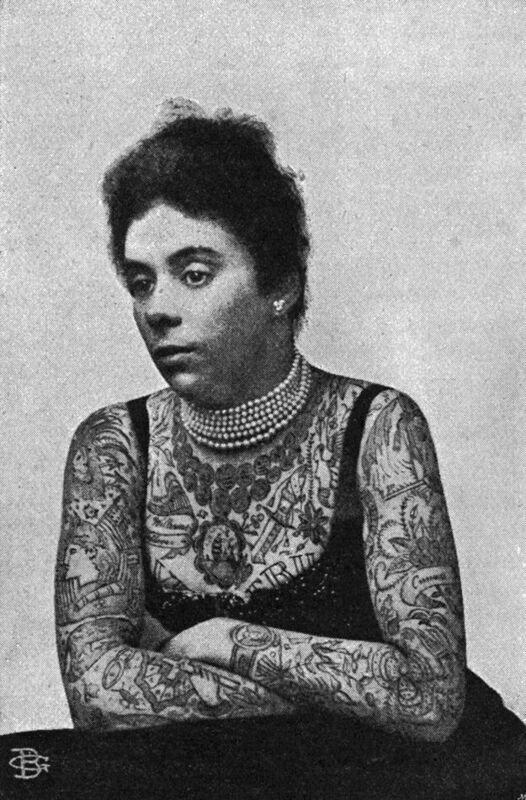 Miss Stella Grassman, BAMF and tattoo artist, 1930s. A simple horse and jockey tattoo, 1930s. Don't mess with Mrs. Williams, 1897. 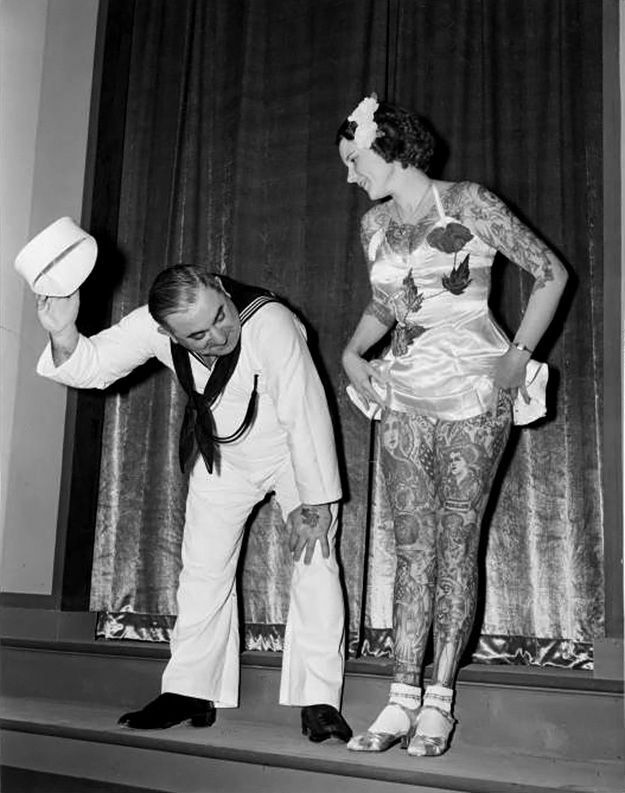 Betty Broadbent, a well-known tattooed lady, at the New York World's Fair, 1930s. 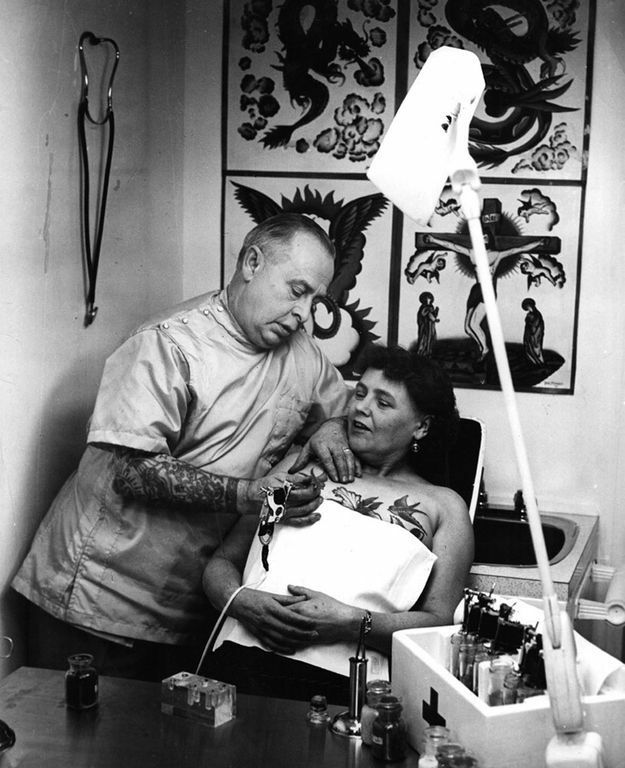 Pam Nash, a champion tattooed lady, with a Japanese garden scene across her back, 1960s. 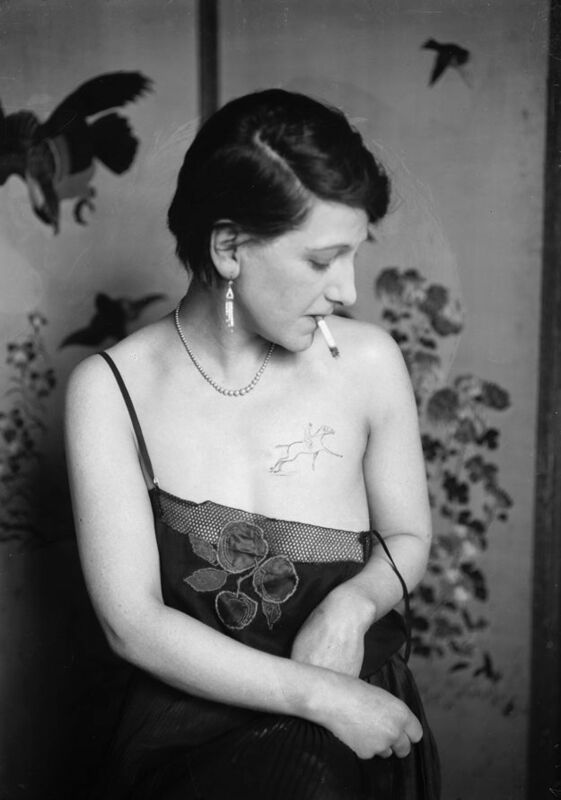 The original girl with the dragon tattoo, 1930s. 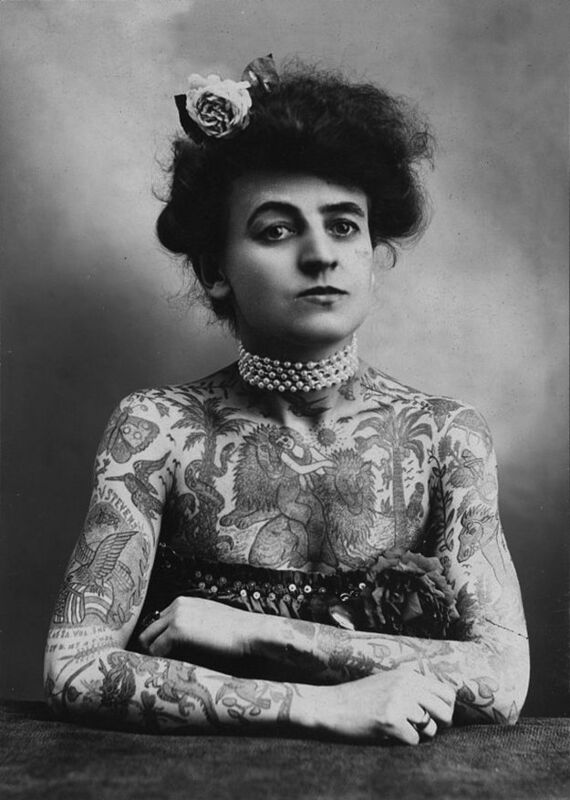 Maud Wagner, the first well-known female tattoo artist/badass in the United States, 1907. Think your swallow tats are cool? This woman got them before you were even born, 1965. 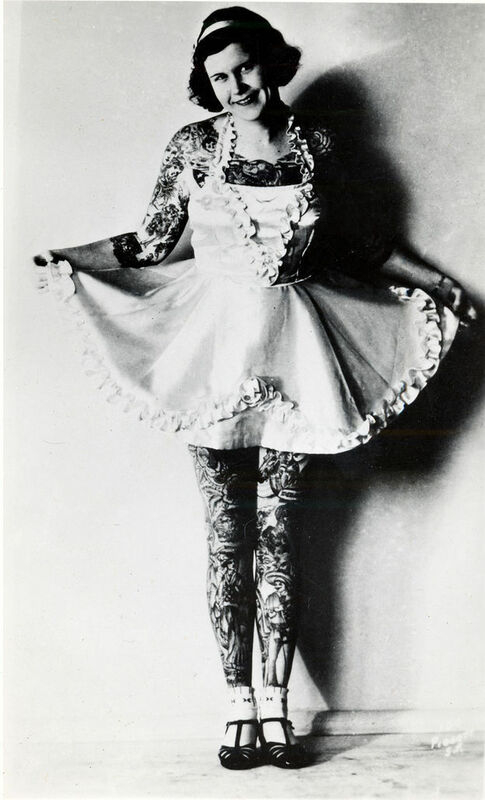 A tattooed butterfly garter belt will never fall down when you're doing the Charleston, 1930s. 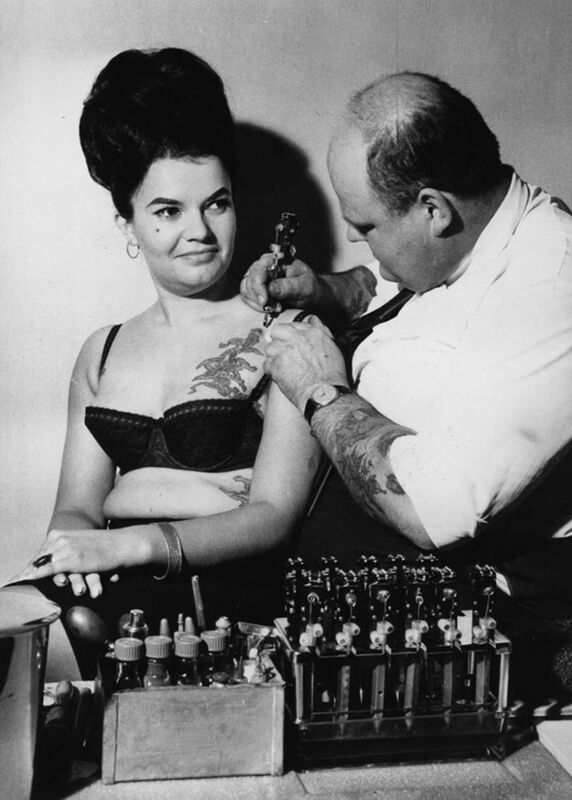 Just getting another tat, NBD, 1964. A naked lady riding a bird, 1928. Why not? 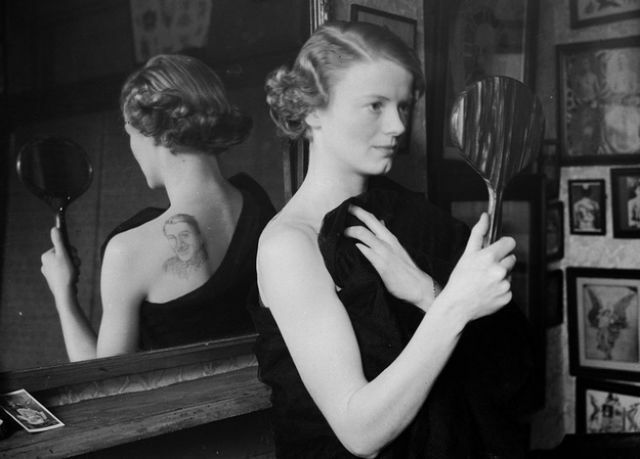 Your man always has your back when his face is tattooed on it, 1936. 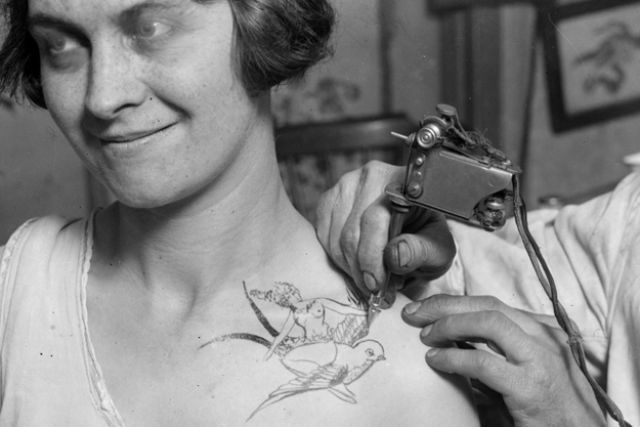 2 responses to "Old-School Photos of Women Rocking Tattoos (16 pics)"
Wow it is really looking gorgeous..i often search for birds tattoos because it gave me happiness and am always glad to see these tattoos. It is really superb and brilliant tattoo.Thanks for sharing your site with us. for another details please visit on this link.